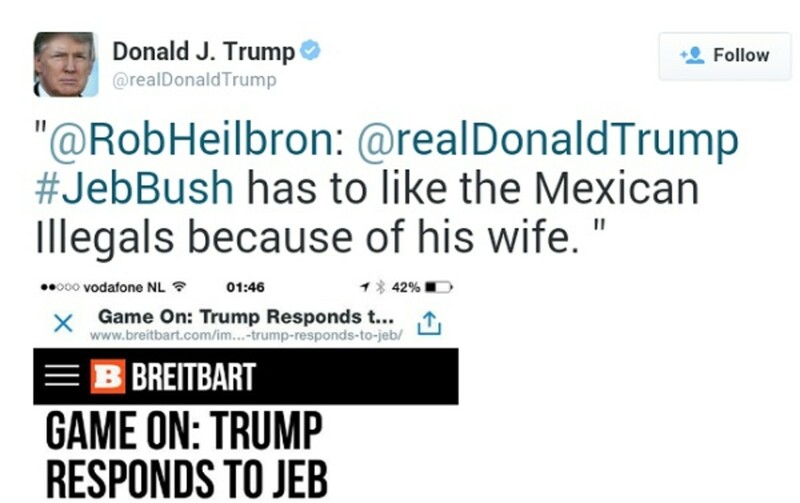 Donald Trump further exposed his racism Sunday with a now-deleted attack on Jeb Bush's wife, which may or my not help Trump, but which could really hurt Bush if he doesn't handle it right. 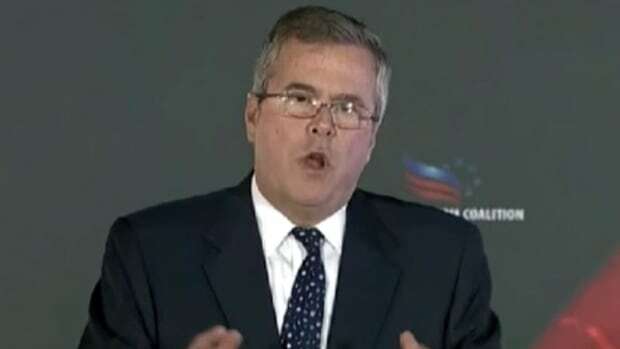 "@RobHeilbron @realDonaldTrump #JebBush has to like the Mexican Illegals because of his wife." Some outlets are reporting this as a "retweet," but it&apos;s actually a quote of this tweet, a Twitter action that requires a little more effort than simply retweeting someone. As if his racism wasn&apos;t already nakedly apparent, this tweet makes clear that Trump, who has (traditionally?) married two white immigrants himself, just hates Mexicans. Trump has yet to apologize or explain the deletion, but after his comments about Mexican rapists catapulted him to the top tier of the Republican presidential race, why would he? 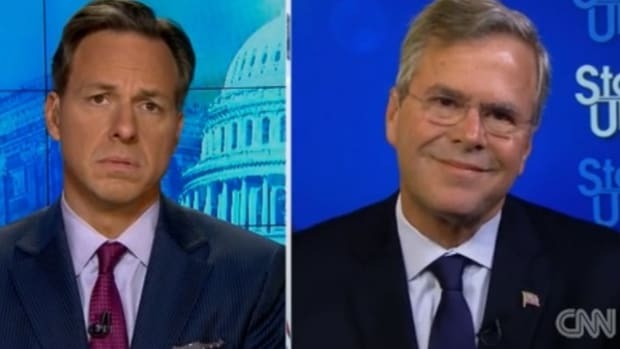 Lest you think this was all an accident, keep in mind that Jeb Bush had just gotten done saying how "personally" he took Trump&apos;s other racist remarks when Trump decided to make it even more personal. Even if he does apologize, the genius of this move is that no matter what happens, Trump gets out the message that he wants to get out. Like Mark Penn spitting the word "cocaine" while promising not to make an issue of then-Senator Barack Obama&apos;s prior cocaine use, Trump&apos;s racist insinuation will reach his audience&apos;s ears even while he&apos;s apologizing. 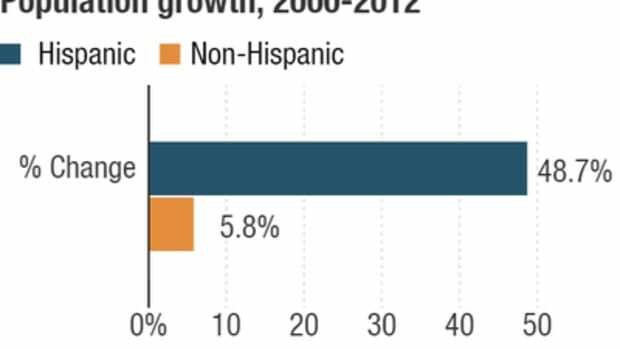 Can Mexican wife-having Jeb Bush be trusted on immigration? Mexican. Wife. It&apos;s unclear just how much more Trump has to gain by scooping up the racist vote, but whatever returns there are to be had, he will reap them in short order. 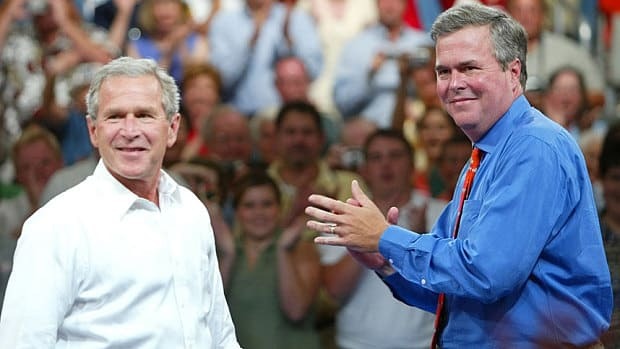 There&apos;s every chance he can pull votes from candidates like Mike Huckabee and Ted Cruz, and a pool of undecided voters that&apos;s large enough to make a real difference in this flat field. It&apos;s also possible that Trump has gotten all the mileage he can out of bashing Mexicans, and he&apos;ll have to wait for the debates to give himself another bump. 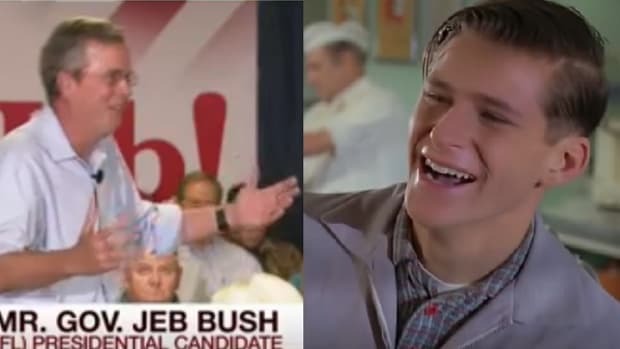 However, Jeb Bush has a lot to lose here. So far, he has yet to respond to Trump&apos;s tweet, which is, itself, a really weak move. That "not gonna dignify it" tack might work with nuance-happy Democratic voters, but anything short of "I will cut you!" 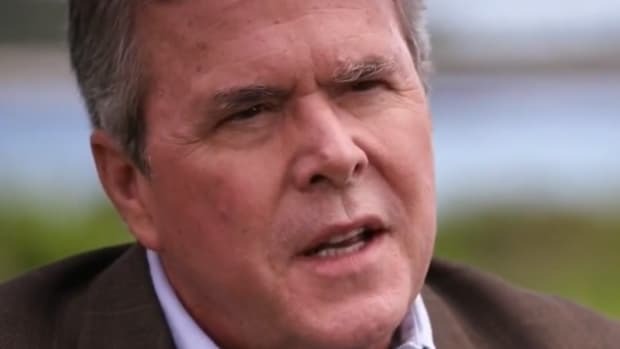 places Jeb Bush in the worst possible position with Republican voters: The Wuss Zone. Even those Republicans who are put off by Trump&apos;s comments won&apos;t stick with a guy who lets someone attack his wife. 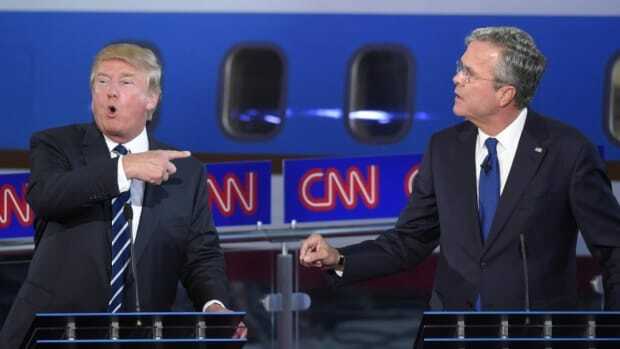 Whether Trump apologizes or not, Bush needs to go Red Wedding on Trump, and soon. 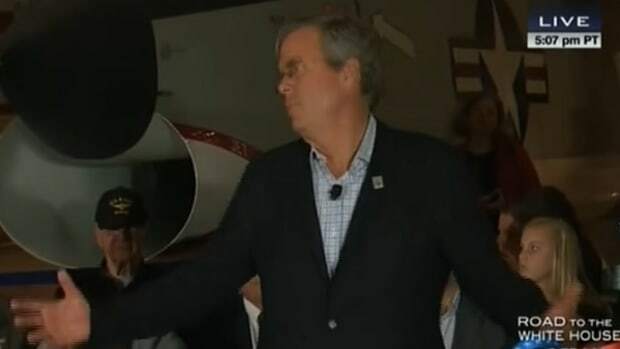 This is Jeb Bush&apos;s Kitty Dukakis moment, and so far, he&apos;s failing.